School for SDG4 (Quality Education) care about underprivileged children of Bangladesh, their activities and health. A proverbs "Health is wealth" is true for all children. It is not only for children from rich family but poor family also. These children come to school with a big hope and wishes. By arranging fruits in every week make them healthy and happy to come school everyday. Authorities from medicals and nutrition researchers have found that youngsters who eat nutritious foods every day and lead active lifestyles tend to excel. The lack of access to nutrition foods is also increasing food insecurity and hunger among our children. Bangladeshi children are facing challenges with health, education, nutrition, and other basic needs. The Sustainable Development goal 4 address the quality education for all children. To ensure quality education, we have to confirm that children are attending at school everyday. If they get meal every day they will get nutritious foods as well as quality education at same place. More importantly, our schools are on the frontline of efforts to improve childhood nutrition, our collective health, and the future of our great nation. Improving the meals that our kids eat in schools is an important step to achieve that SDG goal. Moreover, we feel that these children who come from lower income family will get proper treat at school. Their development precess should be more attractive than normal education. The arrangement of fruits every week is one way to mativate them to come school every day. The importance of child health are equally important like quality education.So, this low cost but more effective method can be followed by other institutions which work with underprivileged children. The video is recorded at School For SDG4 when we children were eating fruit (Guava) for the week. 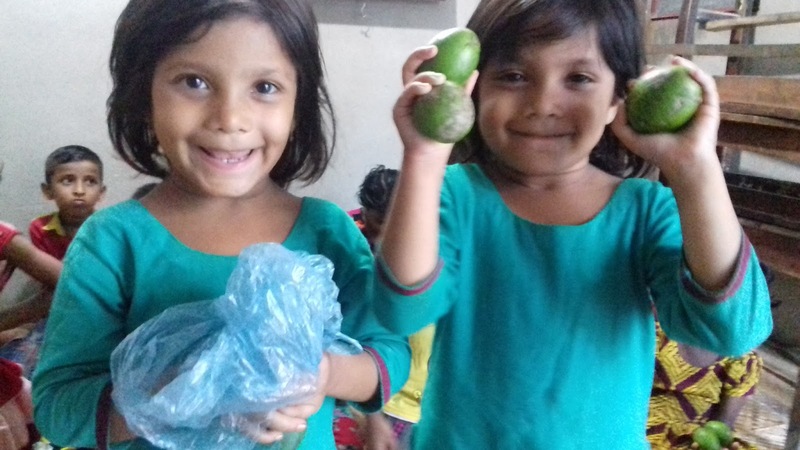 School For SDG4 arranges healthy fruits for children every week. This week we arranged Guava for around thirty underprivileged children who are enrolling at School for SDG4.